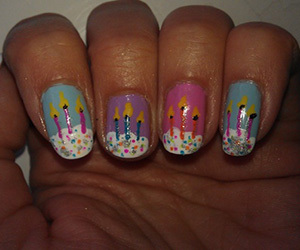 Elongate your nails and let them pop out. 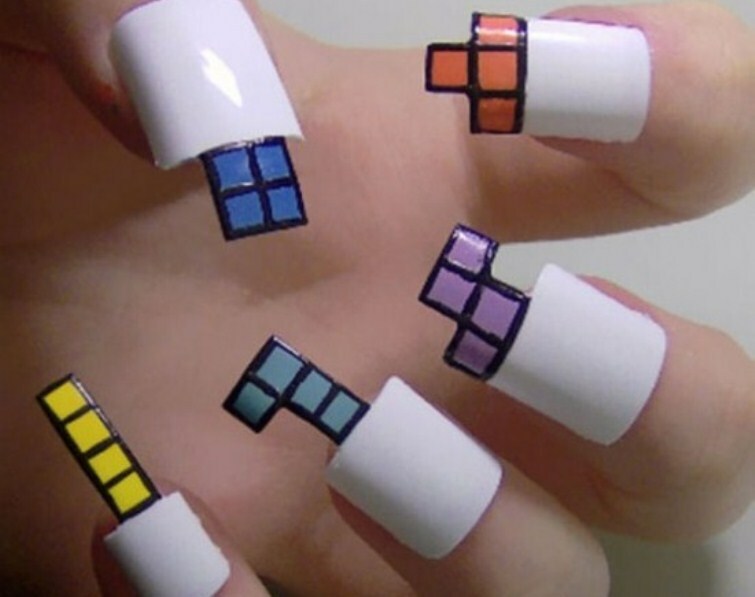 Paint your nails white and simply stick these colorful nail cube shaped stickers. 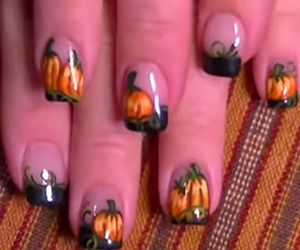 Or carve your nails in shapes of cubes to take your design to the next level.